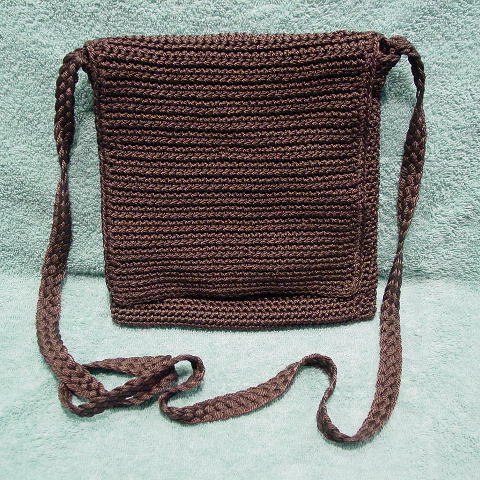 This dark brown knitted (synthetic) purse was handmade for Chateau. It has a brown fabric lining and a side to side top zipper which is hidden under the flap. There is a 50" by 5/8" shoulder strap.